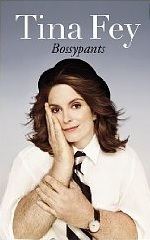 I’m in love with 30 Rock and pretty much anything Tina Fey does, so I knew this was going to be good. Especially as the dedication is to her mother and notes, “I made this out of macaroni for you.” We discussed this at my book club and the only real question we had was why Tina Fey wrote the book. It’s not exactly a memoir and it’s not exactly about her show—it’s a look at a woman growing into a profession that’s generally held by men and the struggles to balance work and family (I just found out that she DID decide to have another child: Penelope Athena was born on Wednesday). She’s incredibly self-deprecating—too much so, I think, for someone who is obviously successful, loved and attractive. Overall, though, a very enjoyable read—and for my book club, a nice break from the heavier classics we’d been reading!